What links the pieces of a concert together? At the Metropolitan Museum on Sunday afternoon, Benjamin Hochman, a young Israeli pianist making his New York recital debut, offered a taut emotional arc, each piece leading to the next in a way that made sense. In a few places the arc was sketched in rather than filled out, but the general picture was of a talented young artist working out the frame within which he will add details as he gains experience and maturity. 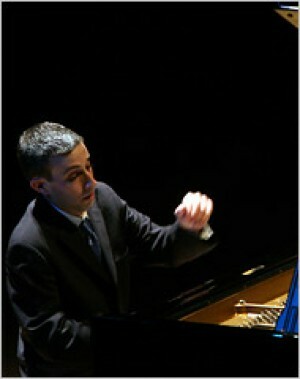 Fluidity and resiliency were two hallmarks of Mr. Hochman’s playing, and they came to the fore immediately in the Praeambulum to Bach’s Partita No. 5, executed with the smoothness of cream but the transparency of water. The Allemande introduced flecks of rubato, hints of hesitation like the uncertainty of human breath, but Mr. Hochman soon returned to what sounded like firmer footing. Berg’s Opus 1 sonata made a strong contrast, warmly anchored in a past century and speaking with what now sounds like a kind of innocence, from its expressive earnestness to the ethereal notes of the close. It is strong, young music, and fits this pianist like a glove. It combined the agility of the Bach with the expressivity of the Berg, shifting from nervous energy to more lyrical expansiveness and back to a kind of jazzy syncopation without ever lingering too long over any one part. Schubert was the capstone: a slightly heavy one for this able young artist, who attacked the C minor sonata with self-conscious force, then became entangled in its subtleties so that the second movement slowed to near stasis. He hit his stride in the fourth movement, finding the resiliency to make the details crisp and bring a nice close to a pleasant concert.